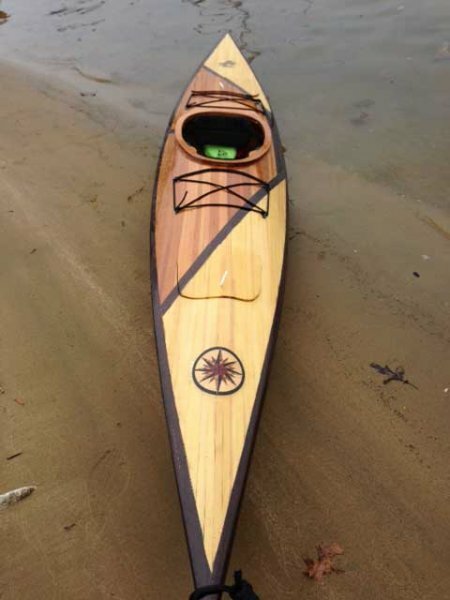 Wendy Norwitz took just four months to built this stitch-and-glue Shearwater Sport kayak created by Chesapeake Light Craft. 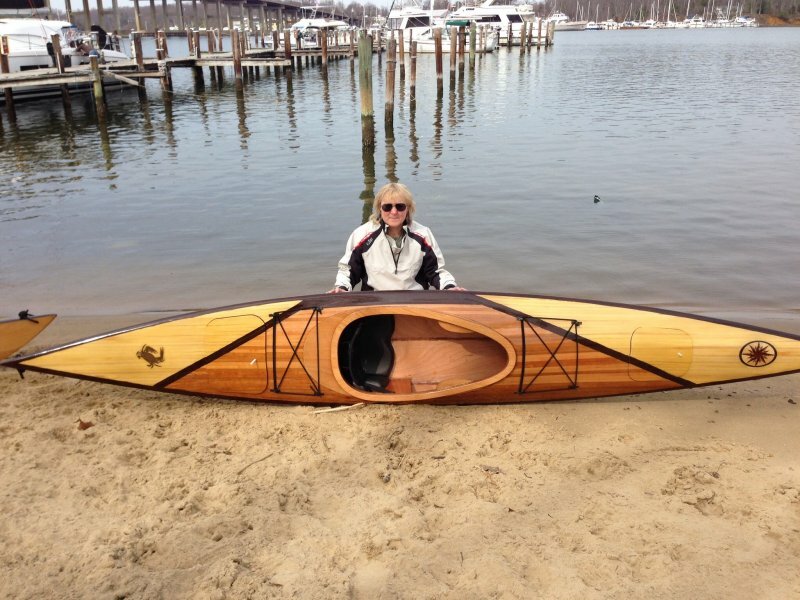 A Maryland resident, she plans to use the canoe around Annapolis and perhaps in the Coast Guard Auxiliary’s new paddlecraft program. 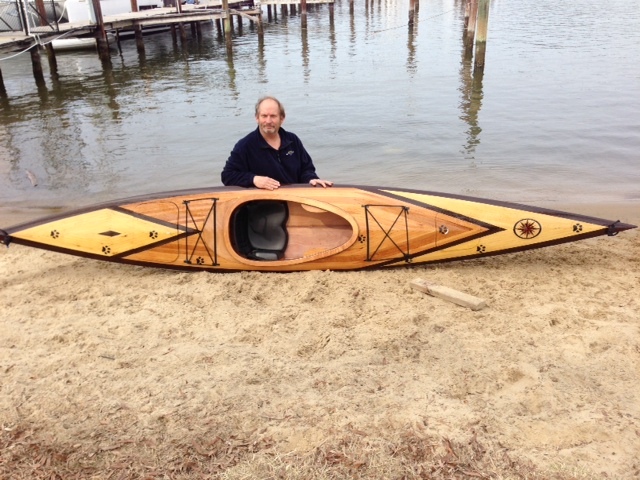 Wendy embellished the cedar-strip deck with two compass roses.